This badge was issued to Jordan Jesse McGilvray on 25 Oct 2017. 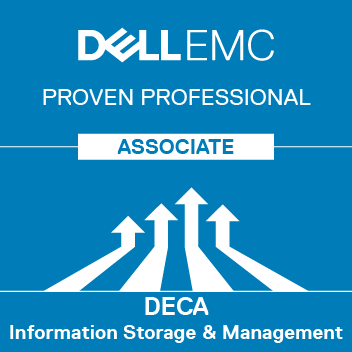 This badge recognizes the achievement of Dell EMC Proven Professional Associate - Information Storage and Management Version 3.0 certification. Earners of this badge will have knowledge on data center infrastructure including but not limited to storage and business continuity including software-defined systems and environments for big data, IoT, and mobile technologies. Achieve the Dell EMC Proven Professional Associate - Information Storage and Management Version 3.0 certification.